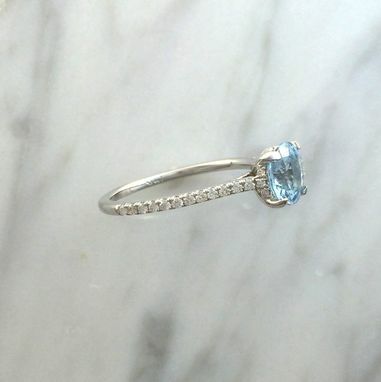 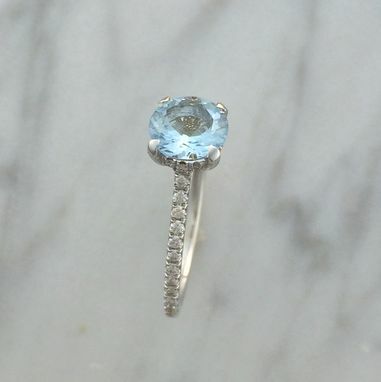 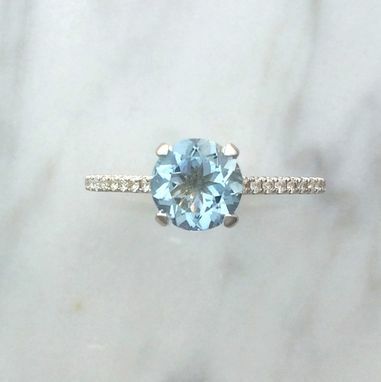 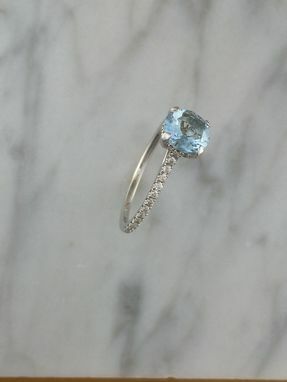 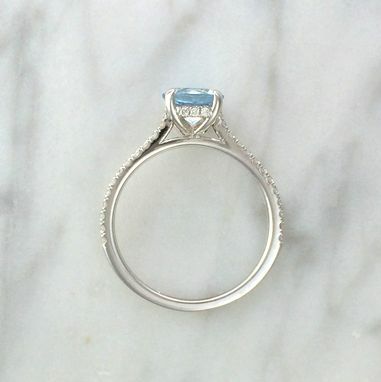 This is a very classic beautiful French Basket Setting adorned with an even more beautiful Round Faceted Blue Aquamarine. This listing is made to order with a 14K White Gold Setting with a high polish and Rhodium plating which will make the shine last longer. 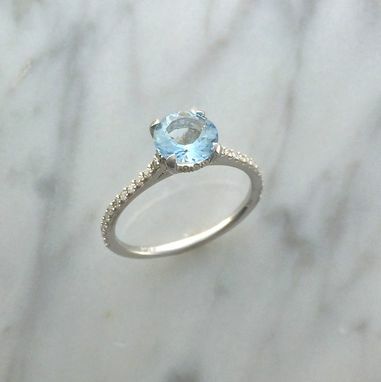 Ships 3-4 weeks after receipt of payment.